Not sure how to stock your saltwater aquarium? somethingFISHY can help with that. 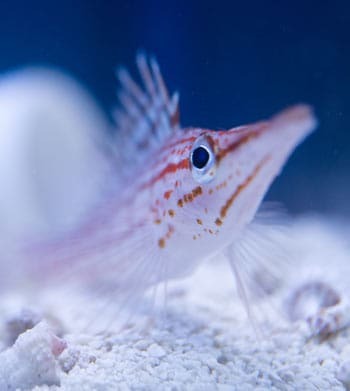 We are direct importers of Marine Fish and Invertebrates from all over the world. New shipments of saltwater fish and other marine aquarium supplies arrive weekly! Call us today, or stop by our fully stocked aquarium store to see what is new. We also carry a full range of saltwater aquarium supplies. Marine Snails: Astrea, Trochus, Mexican and Zebra Turbo, Cerith, Nassarius, etc. Marine Crabs and Lobsters: Emerald, Pom Pom, Sally Lighfoot, Hermit, Marine Lobsters, etc. Starfish: Sand Sifting, Linkia, Chocolate, Fromia, etc. Looking for freshwater invertebrates? We carry those too. Don’t have time to visit our aquarium store? Visit our eBay store for daily online auctions of marine tropicals. We offer shipping and local pickup.